Minister of Business with responsibility for Tourism, Dominic Gaskin, says that last year, a total of 235,000 visitors arrived in Guyana, a 17 per cent increase over the previous year and so far for the first quarter of 2017, a six per cent increase was recorded as opposed to the same period in 2016. Gaskin was speaking at the President’s Awards 2017 organised by the Tourism and Hospitality Association of Guyana (THAG) at the Marriott Hotel. 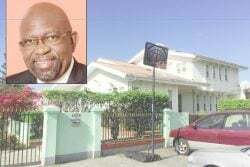 A release on Saturday from the Ministry of the Presidency said that Gaskin also informed that the Department of Tourism within the Ministry of Business has started tourism planning workshops in every region. “THAG is a major stakeholder and one that will also be engaged, specifically on hinterland tourism and how the product can be brought to a state of readiness in a way that is (inclusive) and provides economic benefits for the people of those regions. 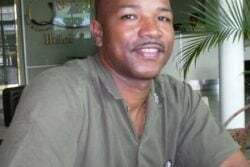 I am confident in THAG, I am confident in Guyana’s tourism industry and I am confident that our government is the right Government for tourism in Guyana,” Gaskin said. 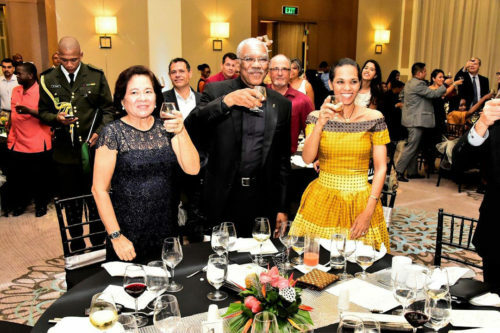 Meanwhile, in his address, President David Granger said that with a strong public-private sector partnership, tourism here can be developed into a competitive world-class industry. This, he said, would necessitate increased investment, innovation, improved infrastructure and the penetration of international markets. “Investment is needed to convert this natural wealth into a world-class product. Investments will originate, largely, from the private sector. Tourism is a private-sector driven industry and has a pivotal role to play in ensuring this country’s economic development,” the Head of State said. Granger cautioned that huge craters in the country’s national parks will outrage international opinion and repel tourists. This, he said, is one of the many reasons why the ‘green’ development agenda is important now more than ever. 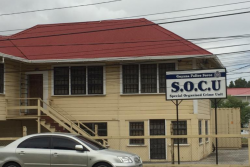 “Guyana’s future is ‘green’. We are on the path to building a ‘green state’, one which will promote harmony between humanity and the habitat of our rich fauna,” he said. He said that the Government, right now, is unshackling the country’s ecotourism potential by improving communications in the hinterland where the ecotourism product is largely located and to which, access is mainly by air and river. He also stated that the Protected Areas System will be expanded and extended countrywide. THAG is celebrating 25 years of existence. Its President, Andrea de Caires said that the Association’s objective is to market Guyana to the world.